Visit classic and nostalgic blocks from the flapper era of the 1920s! This program is based on Carolyn McCormick’s book, Roaring Through The ‘20s. We followed her exceptional paper-piecing directions to make each fabulous block and that wonderful pieced ribbon border in reproduction fabrics from the 1920s and 1930s. Each month, you will receive fabrics to make two complete blocks as well as a portion of the pieced ribbon border. You will also receive all the foundation papers necessary for that month. NO MORE wrestling with your book and photocopier! 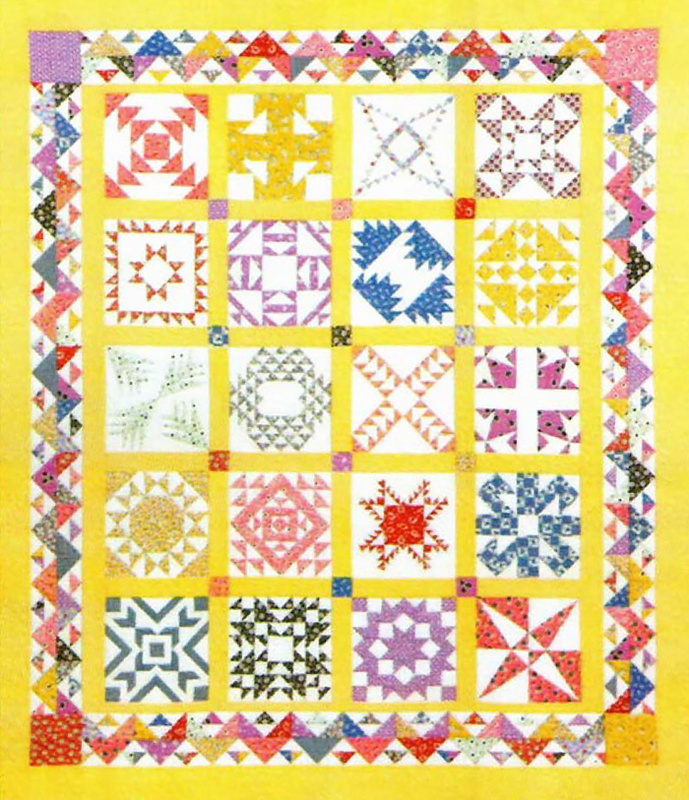 While you will have enough leftover scraps to use for cornerstones, you will need to provide the Sashing and Borders (shown in yellow in the sample) as well as the Binding and Backing fabrics to complete the quilt. This program begins in November 2017 and runs for 10 months.